Accompanied by our expert guide, you will discover the most emblematic monuments and places of the city. The rest of the time, enjoy on your own the medieval atmosphere of the beautiful city of three cultures and seat of the imperial court of Charles I. Pay 5% less if you make your booking 72 hours in advance. Madrid – Our service has several pick up points near your hotel (See more information bellow). Toledo – Plaza de Granada ( Bus platform). 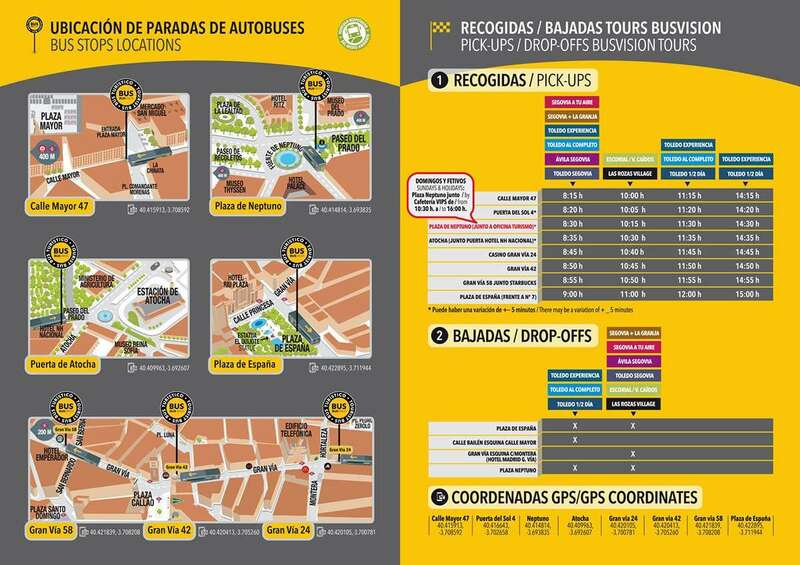 The promotion gives the right to obtain a free seat in the Tourist Bus of Madrid for each reserved place in any of our tours. When booking the tourist bus you just have to select the desired date and enter this code in the field "discount coupon". You will receive a confirmation email again together with the voucher to enjoy the best panoramic city tour of Madrid for free.